Inline Super Comp, Inline unlimited and pancake Comp. 6 ohm inline, ceramic magnet, any gearing, chassis. Slip on tires max diameter .476 and wheelie bars allowed, no braid. or have been racing with us for a several years. tires allowed in the rookie, veteran stock or super stock. For this race stock traction magnets should be used in Rookie stock. Veteran stock: same as above except open to all. In Veteran stock any traction magnet is OK. Same as above + braid on pickups and any size rear tires are allowed . Any chassis allowed, BSRT, Viper, Wizzard, Eagle, timing advance OK on those that have the option. 2.5 arm, POLY magnets, braid and silifoam tires are OK, any traction magnet. Inline unlimited, anything goes just as long as it is close to HO scale. these tires on when speeds start to hit over 35 MPH. 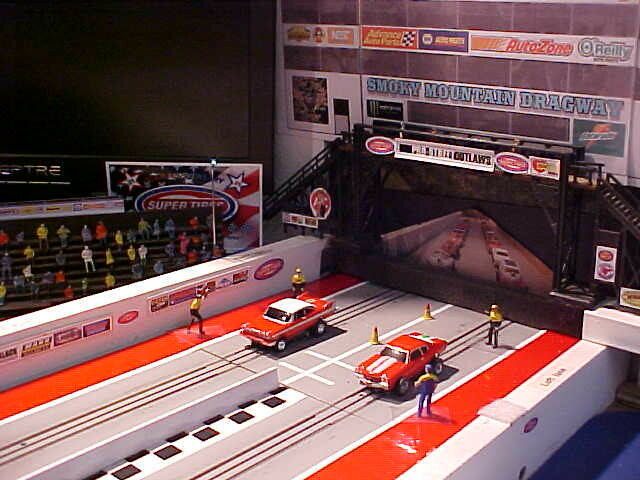 Open to all racers, any AFX, AW, JL, T jet, chassis allowed. Braid, gearing changes, any slip on tire. Ceramic magnets, with stock type 6 ohm armature, 5.5 ohm minimum. Traction magnets up to 2 allowed any size. Wheelie bars allowed in ALL classes. All classes will be run at 20 volts except PSO which will run at 18 volts. which is slightly higher than stock AFX track. Bodies requested: Hard plastic or resin, Drag or muscle car type. If all you have is a roundy round body send it in you will still be allowed to race. $8 return shipping. Add extra $ if more than 50.00 shipping insurance is wanted. What's the rules on "Inline Super Stock"? GTS I added the changes allowed for super stock. Please sign me up for one car for each class except inline rookie. Got it Bill. Welcome to the race. 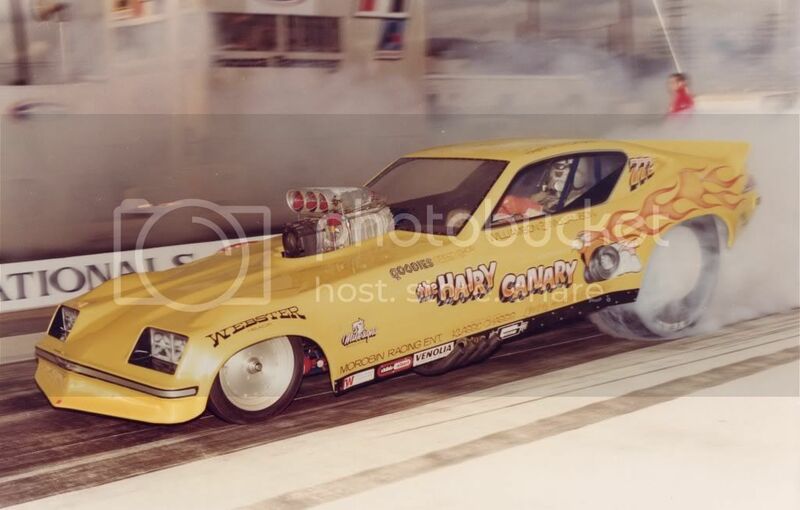 Got it Pete but there is no inline Veteran super stock only inline stock Veteran. Would you like to switch to Inline stock? I have you down for 2 Inline Super Stock and 2 Super Comp so far. Two for Veteran , One for Super. Thank you Dave. Dave put me down for 2 inline super comp and 2 inline unlimited. Question what are the track records for these classes? Dave put me down for. Welcome to the race Eagle and kstocks. Super comp is going strong. The Pancake Comp is going to be run at 20 volts ? No advanced timing in stock what about Super Stock ? And are you going to run the list cars the same weekend or the following weekend ? Thanks for hosting this race and your track is looking awesome. Thanks for posting those records. Posting the track records is a great idea. Would it be possible to have a sticky type thread strictly with track records with no commentary or replies? That would be a useful reference. 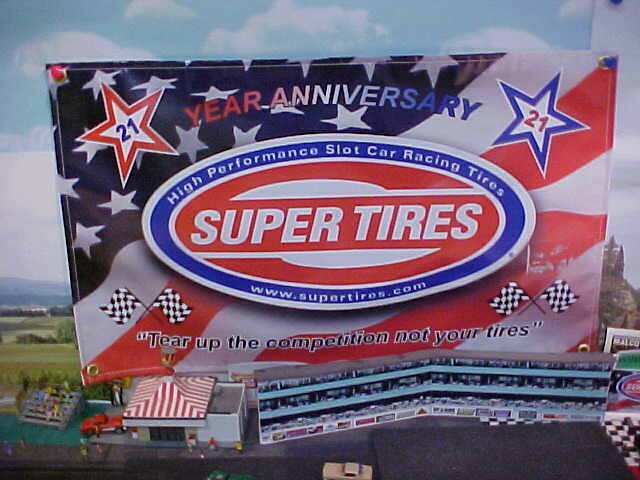 Good news, SUPER TIRES will once again sponsor the Spring Nationals. We have all enjoyed their excellent tires in the past.